DALLAS — So you polished off the pumpkin pie at Thanksgiving, watched Black Friday and Cyber Monday come and go, and now — just now — you're thinking that it might be time to make your Christmas travel reservations. Well procrastinators, you may have already missed the best prices of the season on airfares, but travel experts have tips for salvaging an affordable holiday trip. Many flights around Christmas are expected to sell out. Still, as of mid-week there were a number of reasonable fares available on competitive routes such as Chicago-to-Dallas, says George Hobica, founder of airfarewatchdog.com. Hobica pieced together a Chicago-Atlanta round trip on United Airlines and Spirit Airlines for $227. That bargain is possible because United is in a fare war with Spirit Airlines in Chicago and other places. And the return flight is on Christmas night itself, which brings us to the money-saving suggestions from travel experts. — Be flexible. If you're willing to fly on Christmas or New Year's Day you can save. Very early flights are generally cheaper too, and check if driving a little farther to an alternate airport helps. — Check one-way fares; bundling two of them, even on separate airlines, might be cheaper than a round trip. — Shop all the airlines, and set up alerts for your route. Hobica notes that sites such as Hopper and Hipmunk don't list Delta while Priceline, Expedia and Kayak do, and Southwest flights generally have to be searched separately. — Fulfill your dream to sit up front. Because business travel drops during the holidays, airlines will sometimes cut prices on business- or first-class seats, although they'll still cost more than economy. — Travel light. 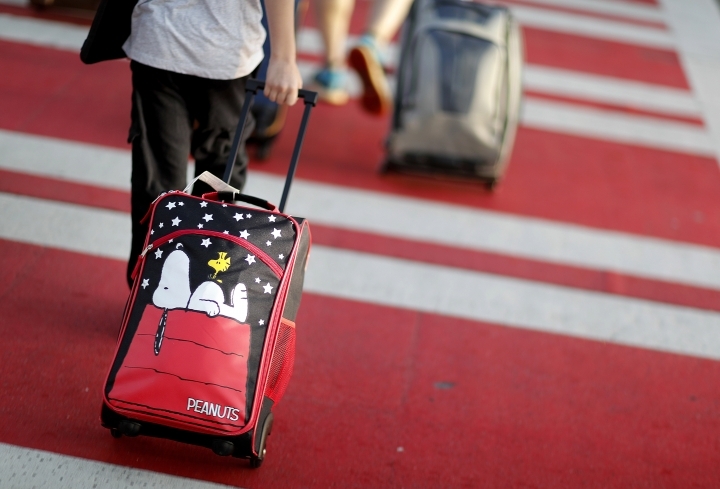 If you can avoid checking a bag, it could spare you a $25 fee and reduce the risk of a lost bag, especially when taking connecting flights. — The lowest fare isn't always the cheapest if it forces you to spend more to check a bag or pick your seat. For example, American, Delta and United now all sell so-called Basic Economy fares that come with fewer perks. You can't even stow a bag in the overhead bin if you buy this ticket on American or United. "The (advertised) fare is not what you're going to pay if you are in Basic Economy and you're checking a bag or picking a better seat," says John DiScala, who runs the JohnnyJet.com travel site. Basic Economy usually saves travelers about $50 round-trip compared with regular economy, he adds, so in those cases, "I'd go with paying $50 more." There were big fare sales this week from JetBlue, Southwest and others, but in general prices for Christmas are heading higher. Holiday airfares rise on average about $4 a day starting around Thanksgiving, according to the folks at Hopper, an airfare-analysis app. "Prices will go up at a steeper incline from here — $7 a day on an average fare," says Patrick Surry, Hopper's chief data scientist. There is no single answer to the question of which day of the week is best to buy airline tickets. For years the conventional wisdom was that Tuesday was the best choice. Airlines do often launch sales that day, but you're just as likely to find a bargain on a Saturday or any other day. Some of the deepest discounts are on flash sales, which are promoted on social media but disappear quickly. Flying home on the Sunday after Christmas will probably cost more because hundreds of thousands of other travelers are thinking the same thing. But even traveling on Christmas Day, when most airports are relatively quiet, isn't the automatic money-saver that it used to be, says Brett Snyder, who writes the Cranky Flier travel blog and runs a travel-help business. "The airlines have gotten better at canceling non-peak flights," Snyder says. 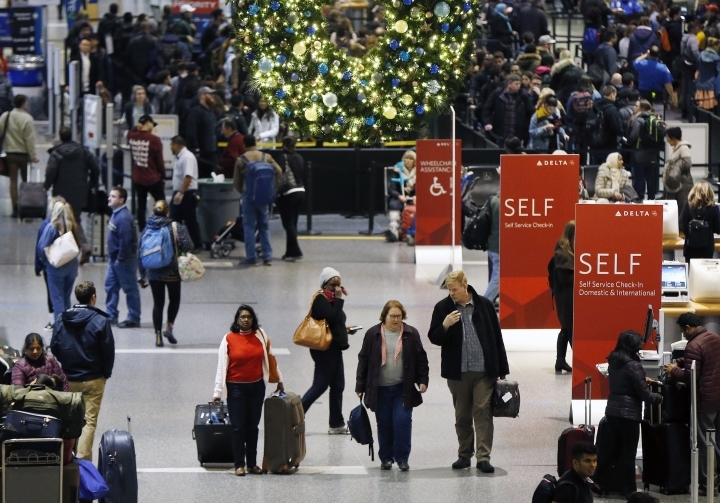 "They used to say, 'Fly on Christmas Day,' but now there are a lot fewer flights that day." The airlines have reduced the supply to meet the lower demand on days when few people want to fly. There just aren't as many empty seats on planes these days. The average domestic flight for all of December last year was 83.4 percent full, up from less than 73 percent just 15 years ago. That makes it tougher to find last-minute bargains. So next year, start making plans earlier.